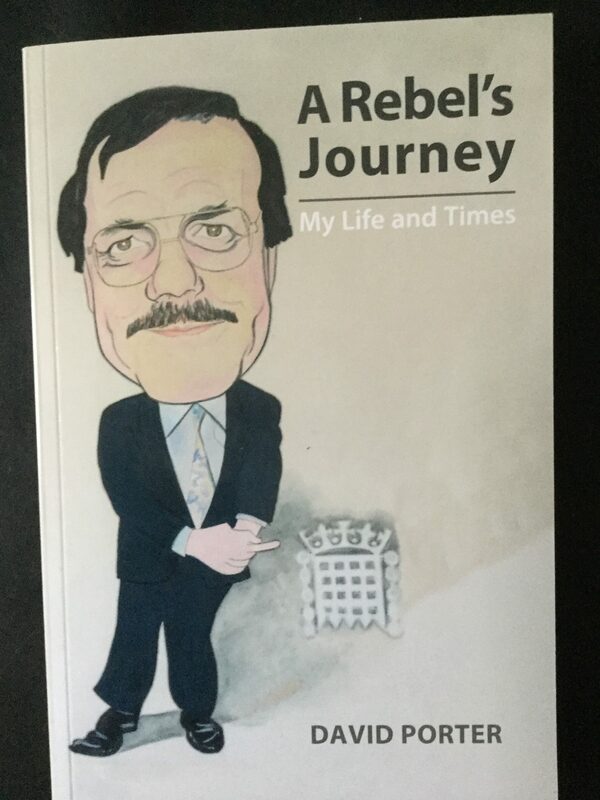 My autobiography – A Rebel’s Journey – has been published under the imprint ‘Walk in My Shoes Publications’, as was my novel Old Men’s Dreams. The story of my life has been a while coming, but it’s I something I wanted to do and set my heart, mind and time on it spread over a four year period. I’ve promised to make a donation from sales of this book to Charcot Marie Tooth UK, the organisation looking out for sufferers of CMT. I am one such and my deformed feet did not define or stop me as I did much in my life, but they were a problem that had to be managed. They still are. My children shared living through my ten years in Parliament and afterwards with me. My grandchildren didn’t, so one day they may wonder and ask who was our grandpa? What did he do? What was his life like? Well, A Rebel’s Journey describes some of it drawn from my daily diaries, my press cuttings, writings, plays and imperfect memories. Beginning with my Lowestoft birth in 1948 and my education in the town, followed by my New College of Speech and Drama days and my more hippie times, are all here. The careers I enjoyed from teaching in London and Lowestoft to politics in London, Lowestoft, Norwich and Westminster and back again to teaching are explored. My dramatic near death conversion to the Christian faith is told. The writing and exam work I still do, are also described. The joy of settling to marriage and having four children with the fun, worries, strains and joys of raising a large family. And now, in my twilight years, to be a grandpa to eight grandchildren (so far) is the icing on my cake. That I was at heart so often a rebel yet could toe a Party line when it was necessary is perhaps one of the mysteries of life that is discussed. But aren’t we all full of contradictions, in many ways? Whether enough of me as a person emerges, I can’t really judge. It’s my journey as I see it from this perspective as a true son of East Anglia.